The technology decision makers have already moved the majority of Mannheim's 120 servers to the open-source operating system. Next, they plan to shift its 3,500 desktops to the open-source productivity application OpenOffice.org, running on Linux. The migration should help the city with its aim of using programs that support open standards, which can be used by any software, whether closed source or open source. Some U.S. states--notably Massachusetts and local and national governments have been embracing standard file formats such as the OpenDocument format used by OpenOffice, a move that ensures that public documents won't be beholden to a particular proprietary program. "We want to decide our IT strategy in Mannheim, and not have Microsoft make the decision for Mannheim," said Gerd Armbruster, the IT infrastructure manager at the German city. "We want to decide our IT strategy in Mannheim, and not have Microsoft make the decision for Mannheim." The city's IT department changed from Microsoft Exchange Server 2003 to Oracle Collaboration Suite because ODS supports open standards, even though it is proprietary software, Armbruster said. The switch to Linux was predominantly driven by the department's wish to use OpenLDAP, an open-source software package, rather than Microsoft's proprietary Active Directory, he added. On the desktop, the planned migration to OpenOffice was similarly driven by the city's desire to use OpenDocument, which Microsoft has said it will not support in its Office application. In September, the state of Massachusetts decided to standardize on desktop applications with OpenDocument, a move that has attracted controversy. The decision has come under fire from state officials. Last week, the Massachusetts governor's office said that it is "optimistic" that Microsoft's Office formats, once standardized, will meet the state guidelines for open formats. In contrast to many other large-scale moves, the cost of the Linux shift was largely irrelevant in Mannheim's decision, Armbruster said. The city recently paid approximately 1 million euros (about $1.18 million) to Microsoft to migrate from Office 2000 to the 2003 version, but that was not important in internal discussions, Armbruster said. "We never said to our mayor that if we switch to Linux, we won't need to pay 1 million euros to Microsoft," he said. "We need to change 145 applications so they will work on Linux. This will cost millions of euros," Armbruster said. Migrating those applications will not only take money, it will take time. Because of this, Mannheim's shift to Linux on the desktop is not due to start for five or six years. However, the move to OpenOffice on Microsoft Windows will begin next year, with the aim of putting the open-source productivity application on 3,500 desktops across 40 departments by 2009. "The migration to OpenOffice has to end when support for Office 2003 ends, so we have about four or five years to complete the migration," Armbruster said. Talk to customersThe infrastructure manager believes that one of the most important factors for a successful migration is acceptance by the people who actually use the software. "It is important for me to have no resistance from users," he said. It is so important that the Mannheim IT department is providing every city employee with copies of OpenOffice and Linux for their home PC and will even provide support for home users. The department is attempting to include those employees in the desktop migration project by arranging meetings where they can discuss their concerns. Armbruster thinks that the lack of user engagement is one of the main problems causing a delay in Munich's migration to open-source desktops. "Most of the problems in Munich are due to resistance from users--they don't want to change to Linux," Armbruster said. "It's important for an open-source project that you inform your users. You need to talk with users and speak about their problems." In September, the city of Munich said that its switch to Linux for desktop computing would not get going until next year--one year later than planned and three years after it first announced its move to the open-source operating system. The IT department there is expecting to move 14,000 desktops from Windows NT 4.0 to Linux and from Microsoft Office 97 and 2000 to OpenOffice. Armbruster is confident that these kinds of delays won't happen with his city's migration. "We haven't seen any resistance from users in the city of Mannheim. We have talked with department managers and power users and they accept our strategy to slowly move to Linux," he said. "Most of the problems in Munich are due to resistance from users--they don't want to change to Linux." The problems with Munich's switch encouraged Armbruster to publicize Mannheim's process, to show that an open-source migration can go more smoothly. "Microsoft is probably very happy about the project in Munich because of its problems," he said. "One year ago, I didn't want to go public about our migration. I have now gone public because the project in Munich is not a success, but our project is. I wanted to say, 'Here is a city with about 6,000 employees where open source and open standards work already.'" The OpenOffice migrationThe first stage in Mannheim's migration to OpenOffice, the evaluation of its Microsoft Office documents, started earlier this month. It is using a migration analysis tool called SCAI MAS to scan 500,000 administration documents and so identify which files cannot be automatically converted to OpenOffice. "We expect that maybe 10 or 20 percent of documents will have problems when we move from Word to OpenOffice.org," Armbruster said. Some of the macros contained within the Microsoft Office documents can be automatically converted into OpenOffice macros, but some will need to be reengineered. The evaluation project is due to be finished in mid-January, after which the IT department will start migrating the first departments to OpenOffice. It plans to switch over only two departments in the first year, one of which will be the IT department. Although some Mannheim employees will not have access to OpenOffice.org for a few years, they have already been using at least one open-source application for almost two years--the Firefox browser. Armbruster says the city has been using the Mozilla browser since version 0.8 came out in February 2004. Microsoft's Internet Explorer is not used for Internet access for "security reasons," he said. "We want to move to Linux on the desktop when it has the same look and feel as Windows." When Mannheim has finished its move to OpenOffice, it will start its migration to desktop Linux. This delay will not only give the city time to replace its 145 Windows-specific applications with programs that will run on Linux, but it should also ensure that the Linux desktop environment is more mature by the time Mannheim adopts it. "In every new Linux version we see more Windows functionality," Armbruster said. "We want to move to Linux on the desktop when it has the same look and feel as Windows." Armbruster did not say what version of Linux it plans on installing in the future, but he is a fan of Ubuntu, a free Linux distribution based on Debian. Ubuntu is the distribution that will be offered to city employees to try out at home, Armbruster said. "I think Ubuntu is very interesting, more interesting than SuSE or Red Hat's desktop products," he said. "I have friends who wanted to try Linux at home, and when they installed SuSE or Red Hat, they had 500 or 800 programs. You don't need 800 programs; with Ubuntu you get fewer applications,"
Although other German cities echo Mannheim's view on the importance of open standards, many are reluctant to change, as they have only recently moved to proprietary technologies such as Active Directory, Armbruster said. There are other reasons why government agencies may find it hard to follow Mannheim's lead in adopting open standards. Mannheim is a long-term user of Unix, which has meant that the migration to Linux is easier for it than for bodies that predominantly use Microsoft software. Cost is also likely to be a prohibitive factor for many government agencies. 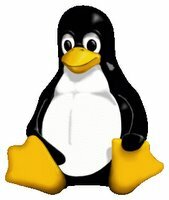 Mannheim's migration to Linux is expected to cost millions of euros. That short-term cost could be difficult to justify to senior management executives, who are unlikely to fully understand the need for open standards.